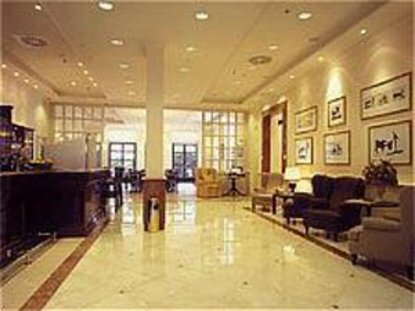 The Hotel Holiday Inn Brussels-Schuman *** European Institutions area *** offers you everything you are entitled to expect from a cosy hotel:A warm welcome, quality service and lots of other facilities. All 59 rooms, have been stylish decorated with Picasso reproductions. They all have air-conditioning, bath and/or shower, hairdryer, trouser press, safe, minibar, TV with in-house movie , coffee & tea facilities fir free (in room only), telephone with direct external line **NEW** wifi:12.50&reg/day. In the morning a delicious breakfast buffet welcomes you in all its variety. Weather permitting, we pamper you at our breakfast terrace. In the evening, on the other hand, you are warmly invited to our Pablo bar and restaurant, or you can call on our room-service. For relaxation, we recommend our Mini-Gym. Its location near the city centre, amidst the European Authorities, its comfort as well as its customer-minded thinking, make Holiday Inn Brussels-Schuman the perfect destination for both businessman and tourist.